Every week we focus on quality articles that student editors have contributed to Wikipedia. 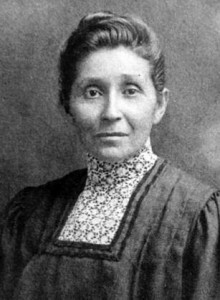 “Doctor.susan.la.flesche.picotte“. Licensed under Public Domain via Wikimedia Commons. This week, we look to Boston College’s History of the American West course, taught by Dr. Marilynn Johnson, focusing on American history west of the Mississippi. Read about the first Native American woman to become a physician in the U.S. (an article that’s three times as long, thanks to a student editor). Fur company rivalries shaped the exploration of the West. Mule Skinners and Bullwhackers were often caught cursing as they traveled the Oregon trail’s shorter sister. In Texan San Diego, Mexican revolutionaries hatched a plan to overthrow the US government in the southwest. People could enter “a utopia of cattle ranching, mountain men, blazing sun, and exciting pioneer life” — for just ten cents. Or, finally, discover where the bison hung out.